Oregon's 2019 QUALITY DEALER of the YEAR. Arriving Soon. 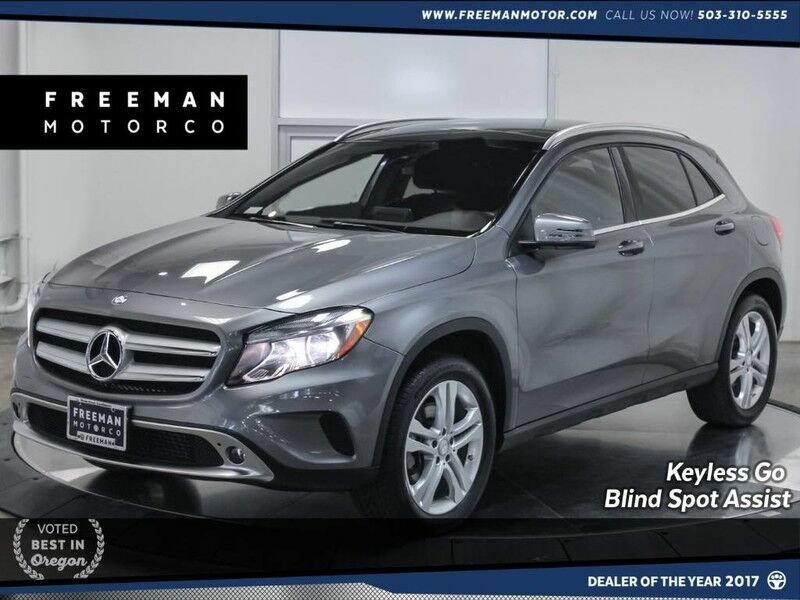 Mercedes Benz GLA 250 4MATIC 1 Owner. Panoramic Moonroof, Blind Spot Assist, Backup Camera, Heated Seats, Navigation, Keyless GO, Harman Kardon Logic 7 Surround Sound System, Bluetooth Streaming, SIRIUS Satellite Radio Capability, Illuminated Star, and the Protection of Factory Warranty. Compared to many of the base model GLAs on the market, this car is a stand out. Offering a magnificent AWD system, sporty handling, premium luxury interior, and cutting edge safety features, the GLA blends SUV styling and cargo with the driving experience you've come expect from Mercedes Benz. Throw in ample cargo capacity and this cute-ute is ready for an adventure to the mountains or the coast! 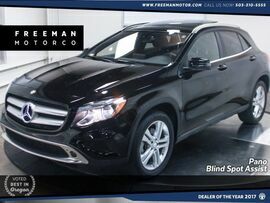 Come see why the Northwest buys their Mercedes from The Freeman Motor Company. Please call for additional details and to reserve a priority viewing of this car. Secure hold deposits available upon request. We offer financing options and extended service contracts to add to your peace of mind.